MOAS has been awarded the Geuzen Medal for 2016 for its work in searching for boats carrying refugees and rescuing those in peril. The Geuzen Medal is awarded as a tribute to people and organisations working for human rights and who oppose dictatorship, discrimination and racism. The news was announced on January 7 by the Geuzenpenning Foundation. The award ceremony will be held on Monday, 14 March 2016 in the Grote Kerk (Great Church) of Vlaardingen. 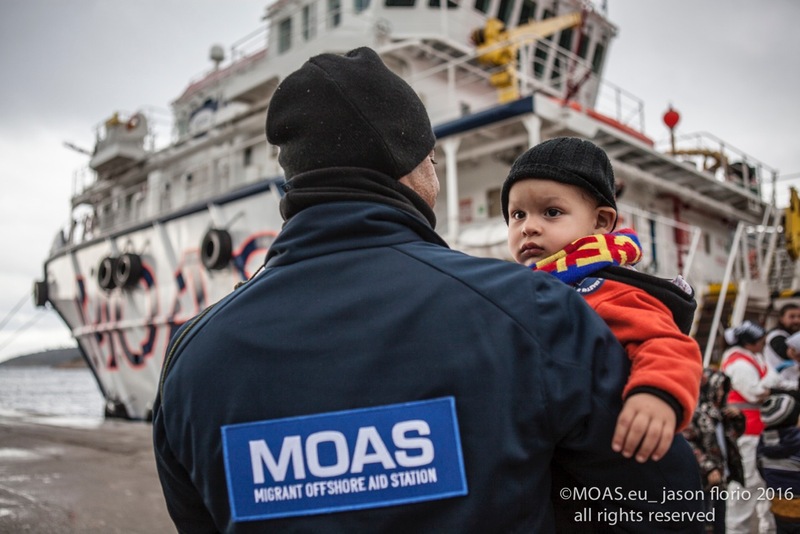 The search and rescue organisation MOAS was established in 2013 by Christopher and Regina Catrambone and has saved almost 12,000 men, women and children to date. Although MOAS is not the only organisation to assist refugees at sea, the Geuzenpenning Foundation noted that it was the first private rescue service organisation. The Geuzen Medal has been awarded to various organisations and people since 1987. The Geuzen Medal is an initiative of the Geuzenpenning Foundation. This organisation was established by the former Dutch resistance fighters who were active in World War II. The Geuzen Medal is intended to honour and support today’s freedom fighters and human rights activists. The Chairman is Frans Weisglas, the former chairman of the Lower House. The Geuzen Medal was previously awarded to people such as Václav Havel (1995), the Colombian politician Ingrid Betancourt (2004), the Syrian lawyer and human rights activist Haitham Maleh (2006), the Tunisian human rights lawyer Radhia Nasraoui (2013) and to organisations such as the International Campaign for Tibet (2005) and Human Rights Watch (2007). Last year the Geuzen Medal was awarded to Free Press Unlimited.